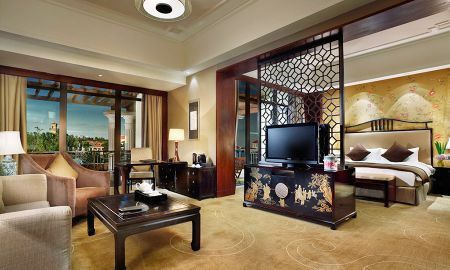 Nestled amidst a lush landscape and crystal blue lagoons, the Sofitel Shanghai Sheshan Oriental is an elegant hotel boasting a Mediterranean architecture. It is the perfect destination for business and leisure travelers alike. 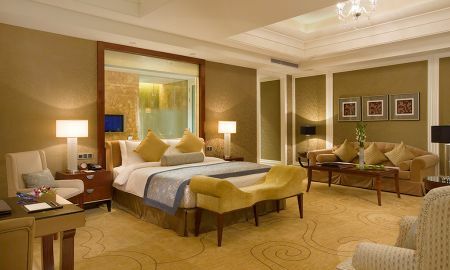 The property offers 368 rooms and suites featuring Mediterranean, Chinese and Southeast Asian decor. All of them have a private balcony and are fitted with modern amenities for a comfortable stay. Suites come with spacious living areas. 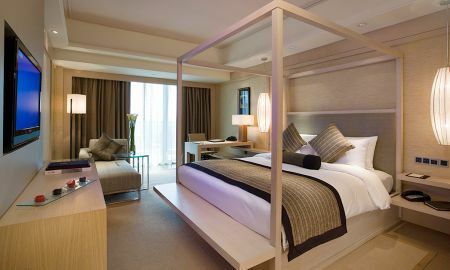 Dining options at the Sofitel Shanghai include 4 restaurants serving dazzling Cantonese and Japanese dishes while overlooking the lagoons, as well as a bar that offers a wide selection of drinks and cognacs. 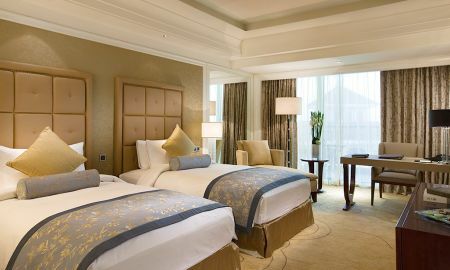 The Sofitel Shanghai also includes a fitness center to stay in shape and a Spa where you can unwind and relax. 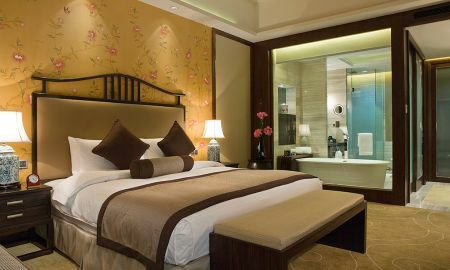 Sofitel Sheshan Oriental is a 15-minute walk from Sheshan Metro Station (Line 9) Hongqiao Airport, the city center and Pudong Airport are respectively a 20-minute, a 35-minute and a 50-minute drive away.